DON'T PANIC! IT WILL BE OKAY. And provides infinite inventory size! While this programming is running you can press CTRL+ALT+X at any time to immediately close Grim Dawn. No guarantees are made to saving progress etc... Use with caution! Why? Some people (myself included) are unable to close the game when it crashes, forcing a reboot. This program prevents you from having to reboot when Grim Dawn crashes covering the entire screen. Your inventory will be infinite in size, anything placed in Tab4 will get looted automatically! Filter your items by damage or resist type! Find your items based on name! 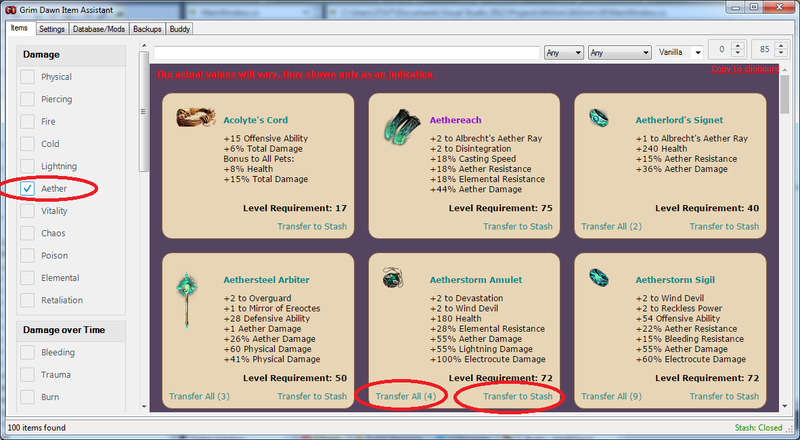 Transfer items to your ingame bank at any time! Any items placed in Tab4 in your shared bank will be automatically looted by GD Item Assistant. 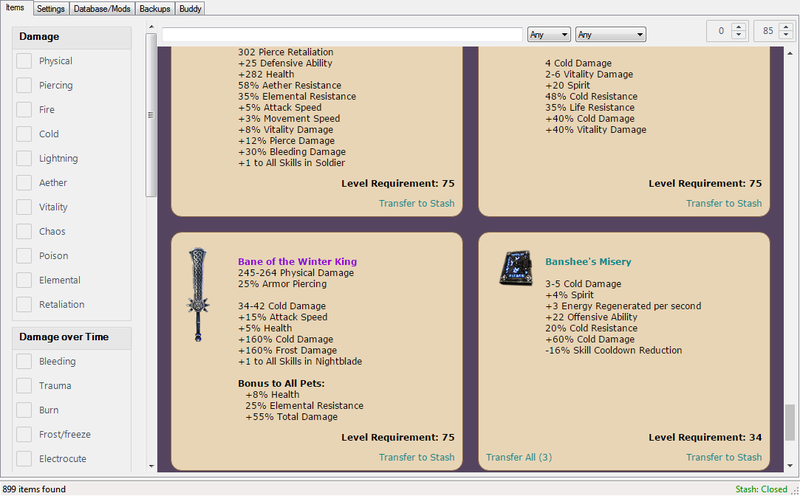 The items will disappear ingame, and become available for lookup inside IA as soon as you leave the stash area. You can at any time transfer the items back to Grim Dawn, they will be placed in Tab3 of your shared bank.